From Algoriddim comes djay for the iPad! A brand new way to DJ on your iOS device. And it supports all the latest features in iOS 4.2 too! "The primary reason is that the iPad has been stuck on iOS 3.2 which offers far fewer audio-related options than the 4.x build. 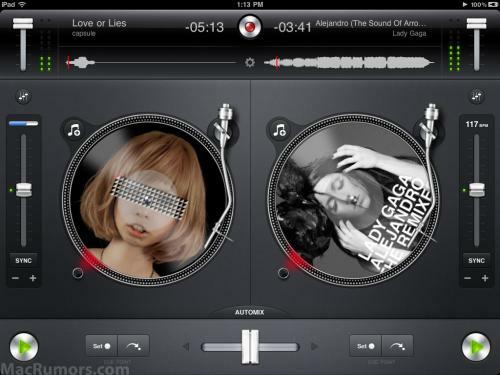 But with the imminent release of iOS 4.2, at least one developer is going to finally deliver a full featured iPad DJ app. We've learned that Algoriddim, the makers of the popular djay application for Mac, has ported djay over to the iPad, taking full advantage of the new iOS 4.2 audio features. "